Home › Life › It's better than sleeping on the keyboard. It's better than sleeping on the keyboard. 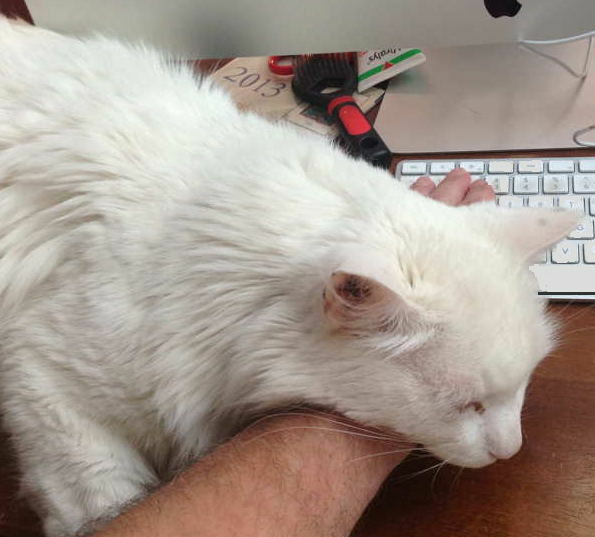 Usually Douglas annoys me by sleeping on the keyboard and “helping” me type. I guess this is better. ‹ Typing two spaces after a period is totally, completely, utterly, and inarguably wrong.